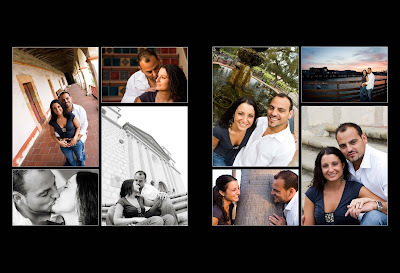 I’ve been looking forward to Andi & Ignacio’s engagement session for awhile. 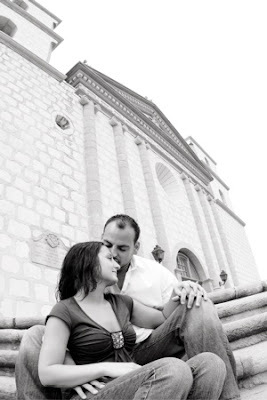 We planned on shooting in Santa Barbara and I just knew it would be awesome! Our first attempt we drove all the way up there and it started raining when we hit the rincon so we turned around. This time I couldn’t have asked for better lighting. We thought it would be gray but the light turned warm just as we hit lower state street. The warm light just lit up Andi’s face. She looked so beautiful. Andi & Ignacio were such naturals in front of the camera… I can’t wait to shoot their wedding later this summer at the Westlake Village Inn. To top the session off we got a beautiful sunset when we finished up at Sterns Wharf. I love Santa Barbara!